English Holiday Cruises gather and process your personal information in accordance with this privacy notice and in compliance with the relevant data protection Regulation and laws. This notice provides you with the necessary information regarding your rights and our obligations, and explains how, why and when we process your personal data. 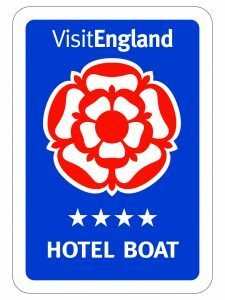 English Holiday Cruises’ registered office is at Windsor House, Bayshill Road, Cheltenham GL50 3AT and we are a company registered in England and Wales under company number 05207004. Our designated Data Protection Officer/Appointed Person is Jay Clements, who can be contacted at 5th Floor Alexandra Warehouse, The Docks, Gloucester GL1 2LG, 01452 410411 contact@englishholidaycruises.co.uk. English Holiday Cruises processes your personal information to meet our legal, statutory and contractual obligations and to provide you with our products and services. We will never collect any unnecessary personal data from you and do not process your information in any way, other than as specified in this notice. Online forms, through competitions, exhibitions, online bookings, telephone bookings, telephone brochure requests, third party websites for job applications only. When you express interest in our services: We collect your personal data in the performance of sending you promotional material which you have specifically requested directly from us. We do not buy data from third party sources and all information requests either via our website or on the phone are performed in house. In the course of a contract: If you make a booking with us, we will use your personal data to administer the booking and to provide the high levels of customer service that we deliver for special needs, diets or other information you supply us with that is relevant to travelling with us. If you apply for a job with us: We will only store your personal data to process your job application and interview process. Marketing: We will occasionally send you marketing information where we have assessed that it is beneficial to you as a customer and in our interests. Such information will be non-intrusive and is processed on the grounds of legitimate interests. We do not share or disclose any of your personal information without your consent, other than for the purposes specified in this notice or where there is a legal requirement. English Holiday Cruises uses Checkfront, Zoho, Mailchimp, Worldpay and Hazelwoods LLP to provide the below services and business functions; however, all processors acting on our behalf only process your data in accordance with instructions from us and comply fully with this privacy notice, the data protection laws and any other appropriate confidentiality and security measures. On site firewall protecting our network. SSL encryption on all cloud services and on our website. Restricted access to authorized and trained staff to booking systems and personal data databases. Anti virus / malware software installed on all of our hardware. Training for all staff that process data. Personal data in the European Union is protected by the General Data Protection Regulation (GDPR) but some other countries may not necessarily have the same high standard of protection for your personal data. English Holiday Cruises does not transfer or store any personal data outside the EU. You are not obligated to provide your personal information to English Holiday Cruises, however, as this information is required for us to provide you with our services and legitimate interests, we will not be able to offer some/all our services without it. We use the legitimate interests’ legal basis for processing personal data for bookings and marketing that has been specifically requested and have identified that our interests are to provide relevant information that has been requested of us and the completion of our cruise holidays to comply with travel and maritime law. English Holiday Cruises only ever retains personal information for as long as is necessary and we have strict review and retention policies in place to meet these obligations. We are required under UK tax law to keep your basic personal data (name, address, contact details) for a minimum of 6 years after which time it will be destroyed. Owing to the services that we offer, English Holiday Cruises sometimes needs to process sensitive personal information (known as special category data) about you, to help you decide if our holidays are suitable for you or to ensure we can make special preparations for you during your cruise for your convenience and safety. Where we collect such information, we will only request and process the minimum necessary for the specified purpose and identify a compliant legal basis for doing so. Where we rely on your consent for processing special category data, we will obtain your explicit consent through our terms of service. You can modify or withdraw consent at any time, which we will act on immediately, unless there is a legitimate or legal reason for not doing so. English Holiday Cruises only processes your personal information in compliance with this privacy notice and in accordance with the relevant data protection laws. If, however you wish to raise a complaint regarding the processing of your personal data or are unsatisfied with how we have handled your information, you have the right to lodge a complaint with the supervisory authority.